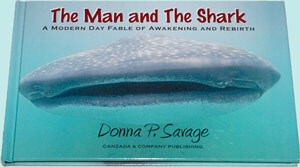 Price: $19.95 The Man and The Shark: A Modern Day Fable of Awakening and Rebirth is the story of one's man awakening to his essential self, with a whale shark as his guide and muse. Wildlife and ocean photography by Ambress enliven the story. Limited Editions only. Book will not be reprinted. 54* pages, full color, 8.75" x 5.75" hardback. This beautiful keepsake is one to be read repeatedly, and makes an ideal gift. INTERNATIONAL SHIPPING: If you want a book(s) shipped outside the USA, please send an email with your complete address and zip code. A shipping method will be set up for you on PayPal to process within days. Click here for info and to purchase energy work or intuitive poems. Full descriptions and PayPal on Energy Work Page. Shipping and packaging must be determined in order to quote the to-your-door delivered price. 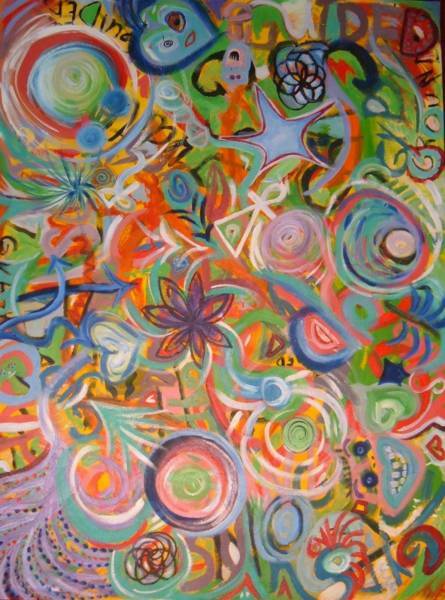 Please email Donna about a specific work of art and payment can be easily arranged.